First and foremost, booking a DIY umrah is against the Saudi laws. Many governments including Malaysian government have warned their citizens against this practice. This can even lead to your arrest. In bad weather conditions, or scenarios like volcanic ash cloud, if your flight gets cancelled, you don’t want to be no.445 on the waiting list to talk to the airline. Let your agent handle the problem, as he or she has access to your booking and might just have 5-10 people to make changes for. Your saving on flights, is normally very paltry, in comparison to booking it through an agent. 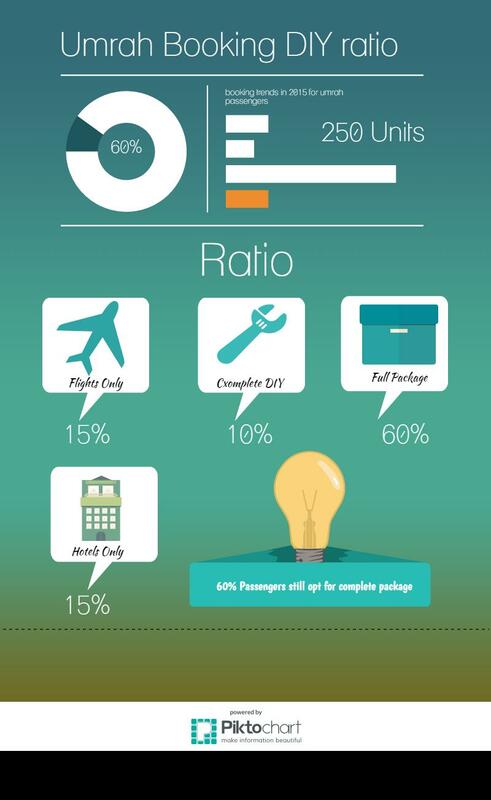 Most conventional agents make a very small margin on flights, due to the competition in the market. Despite everything being arranged online, you still have to arrange umrah visa through a Ministry of Hajj approved agent. A common practice till last year, more and more agents are getting weary of visa only customers and if at all, would charge you a lot more, in comparison to booking the whole package through them. If you book hotels separately, your unfamiliarity with how to calculate hotel nights, might end you up in making the wrong decision and booking less or more number of nights.Extra nights are almost never refunded in such cases and less nights pose special difficulty, when there is no availability in the same hotel. Hotel images can be glossy, for even no rating buildings, but even 3 stars are basic accommodation, which is the minimum sold by most UK agents. Some visa companies now insist that you book, at least Jeddah-Makkah transfers with them. This allows them to track at least where passenger is going in Makkah. Company MOFA systems are suspended and penalized if there are any overstays or evasions. As part of the new visa process, agents need to send complete trip details, i.e issued flights and accommodation confirmations. So no more staying with relatives is possible.or allowed for that matter. Ministry of Hajj representatives regularly check hotels to see pilgrims are staying, where they are supposed to. Any differences end up shutting the visa company down and fines to pilgrims. The Royal embassy of Saudi Arabia in London is getting more and more strict every year on this practice as, it hampers regularization of pilgrims. All these measures are aimed at stopping overstay of pilgrims and documenting their departure and arrivals.